Cowpea pickin' that is. This summer I planted cowpeas (aka Southern peas) in one third of our half acre grain field. About a month ago, 5 rows almost filled a 5-gallon bucket like you see above. Several days ago, it only took 3 rows to do the same. I've got a total 18 rows and all the plants are loaded with pods in various stages not to mention load of blooms. The variety is Ozark Razorback. It is a small cowpea that I plan to use in feed mixes for the goats and chickens. We haven't tried them yet, but we can eat them too. I got a seed packet from Baker Creek Heirloom Seeds and planted it last year as a seed crop. I saved all that seed for a field planting this year. 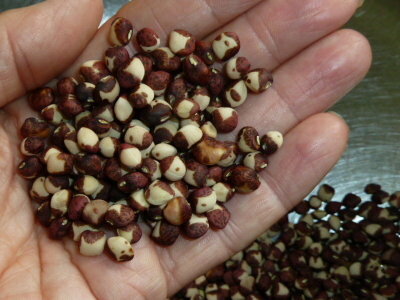 Cowpeas are said to be about 23% crude protein. Not as high as soy, but certainly easier to process and without the phytohormones. The protein content is important to me because one of my goals is to raise all our own animal feeds. This is still in the experiment and learn stage, and this is the first time I've grown more than a garden bed of cowpeas. In regards to protein, I have noticed a huge discrepancy in what the charts say, and what the feed bag labels say. I've been feeding my goats a mix of wheat, oats, black oil sunflower seeds, and alfalfa pellets, barley when I can get it (which is rare). I buy these in 50 pound sacks and mix them myself. All the charts say wheat and oats are around 12% crude protein (CP). My feed bags say minimum CP is around 8%. That's a pretty big difference. Are the feed companies merely covering their bases by giving a minimum guarantee? Or is that a fairly accurate assessment of the protein these grains actually contain? I do know that the nutrient content of our foods has been decreasing over the years, because of the way modern conventional farming handles the soil. Many cooperative extension services offer feed and forage testing. 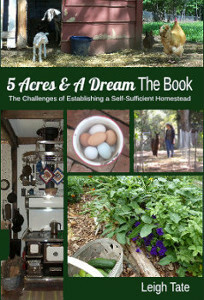 Mine does, so using the Pearson Square, I calculated a mix of feed store wheat and oats, and those homegrown cowpeas. My target was 16% crude protein, the recommended CP for dairy goats. That came to roughly equal portions of each. I mixed a small sample and sent it off. As an aside, I confess I've questioned why the recommended crude protein for goats is higher than what they can naturally forage. Then I read in Pat Coleby's Natural Goat Care, that too much protein causes health problems. She recommends 14%. It's something I need to research further in the future. It's not what I aimed for but I am not displeased with this; I think it says something good about my cowpeas, even though our soil is nitrogen deficient. While this is not the recommended 16% for does in milk, it's closer for a home mix than I had before. The results don't explain to me what the second column means, 16.7% at 100 percent dry-matter. Nor do I know the exact CP content of the individual ingredients. That will be something I'll have to have tested eventually. The results do tell me that the cowpeas can help provide what is needed. The test was inexpensive ($6) and will be an excellent tool for not only making sure I'm feeding what my animals need, but also making sure my soil fertility is good. Fortunately, these peas are fairly easy to pick, because the pods shoot up on stalks above the leaves. They will keep producing until frost kills them. The few plants nearest the corn, managed to climb a few corn stalks. That made them even easier to pick. I originally thought these were half-runners, but they did spread more than I remembered in the garden. Next year I'll try planting them in with the corn. Two questions remain. Firstly, how much will I need to grow to have a year's worth? I'll have to wait and see how long this year's crop lasts to answer that. The second question is how to best shell them all. Last year I did it by hand, this year I have too many. I've looked into shellers and can either opt for a small hand, "Mr. Pea" sheller for around $40, or a larger electric model. The smallest of these runs just under $300 ($400 if purchased from the manufacturer). I also found a homemade pea sheller at Mother Earth News. One pod at a time though. Seems easier just to do it the regular by-hand way. A new wheat combine costs someplace around $150-160 grand (!) and they can only use it once a year - but without it there would be no way for our farmer to harvest our wheat crop. Do you think that the goats would eat them in the shell? Would it damage the peas if you crunched the shells and sort of winnowed them out? I hope the Mr. Pea works. T.
That's intriguing. I'd like to hear more of your results and yield. The protein level of grains does fluctuate according to growing conditions for any given year.I sell horse feed mixtures and have to be tested yearly. My horse feed has to meet the minimum protein listed on the tag. Its only a starting point for consumers. You could not test each bag then print tag accordingly. It isn't cost effective. There are minimum standards for all grains for protein. Michelle, I offered each goat a whole pod with their evening grain. Notta one touched it! Still, there are advantages to shelling, storage space for one (a big one). Also, because of our dampness some of the pods themselves look a little mildewey, though the peas themselves are fine. 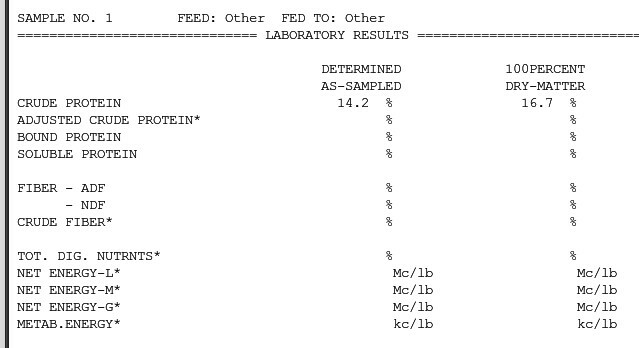 I like the idea of measuring and premixing my feed for that target protein level too. I'll have to toss some as is to the chickens. They seem smarter than goats when it comes to things like that. Tina, and that's why only squillionaires can afford to farm! Sad, isn't it? I did offer them to the goats in the shell, no go. I thought about crunching them like you mention, and that may be a better route to go in the long run. We'll see! Lisa, that makes a lot of sense, and I appreciate the information. I can see why grain sellers would need to test annually. I will probably end up doing the same. Your question reminds me of how many evenings were spent when I was a kid shelling corn, cracking nuts, shelling beans, etc. I remember all the blisters, too, especially from the corn. Yes, I'm interested in seeing how your shelling project turns out. I'm look at a similar scenario. I got about three 5-gallon buckets worth of cranberry beans out of the garden this year. I have the whole pods in sterilite containers waiting for myself to find the hours and hours it's going to take to crack each pod by hand and then run my finger down the inside of each shell half to pop the beans out. I've done a little bit of the pile so far but the best I can figure is that it's an undertaking for the winter when snows are three feet deep. I'm wondering just how well those shellers work too. Thanks for your research efforts! So interesting to read what you have found so far. Thank you for sharing with us. When thinking about shelling by hand, a picture came to mind of Grandma sitting in a corner of the kitchen in her rocker working on the project. Or that maiden aunt that so often lived with the family. Or the five kids (out of eight) who were old enough to be given the job of shelling. But if you (or I) had to do it ourselves by hand, how many hours would it take? How much is our time worth? What more profitable and/or efficient task could we be doing in those hours? It is indeed a conundrum! I have no idea where my mom got the purple hulled peas or what she did with the peas, but I do remember having to shell them by hand so she could make the jelly. Benita, I know about those blisters! Did you watch TV, listen to the radio, or have someone read while you did it? That would at least make it less boring I'd think. Andrew, good to hear from you! I've done a couple buckets of black turtle beans by hand, mostly in the evening when I'm talking on the phone to DH. I'm hoping the sheller will really help. I'll give you all an update after it arrives and I can give it a try. Stephanie, are you taking notes? ;) Grandma in her rocker often comes to mind with this stuff. It took all day just to feed the family, didn't it? Renee, we were commenting at the same time. :) Interesting recipe! I've never done purple hulls, but I'd be willing to give this a try with something else. As fond of memories that I have as a kid shelling peas with my family for hours on end to Hockey Night in Canada I think a more automated approach is better suited and more realistic. For sheep the farmers around here grid the hay so there isn't as much waste from the picky eaters. Could you sell any of the peas to recoup some of the expense for the better pea sheller? Oh my goodness Leigh, you definitely SOMETHING to help with all that shelling! You continue to amaze me in your adventures. You are so amazing! My mind boggles at everything you do, including the research, and the knowledge you have. Keep us posted on how you decide to shell those peas. My Dad grows cowpeas but I've never grown them do to space, but I do love me some Hoppin' John with Black-Eyed Peas. 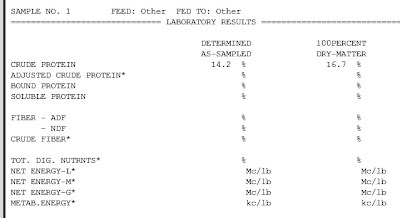 I almost forgot... when I got my rabbits they told me to not give adult rabbits feed with more than 16% protein in it because it is hard on the kidneys and can cause kidney problems for them. So only bunnies get alfalfa hay, then switch them to timothy or orchard. I like eating cow peas but not soy beans. I've always thought of soy beans as animal feed and cow peas as human feed. I'm with everyone else...you're amazing doing what you do! I do hope you continue to post about your results with growing/processing your own feed. I also love Baker Creek Seeds. Oh! I've heard of using a wronged washer, too!!! I'd forgotten that! Do you have access to one? Interesting that your goats don't like the pods. When I first got my sheep and goats, I got several tons of an oat/pea hay. It was quite the hit with the beasties, and kept them entertained much longer than straight grass hay does. First they'd eat the peas & pods, then the oats, then the oat hay, and finish off with the pea vines for dessert. Took them most of the day to get through it all. Doug, that's something I hadn't thought of, and it is an idea. So far all these kinds of projects fall under the self-reliance category, so I'm always wondering things like how much I need to grow and how long what I have will last. Janice, definitely not by hand! Candace, I will definitely do that. A device of some sort certainly seems in order. Renee, I remember reading not to feed alfalfa to rabbits, but I didn't realize that about the bunnies. I used to get mini-bales of timothy hay at Walmart! Sue, that might be an idea for a number of things that need processing. I should look for a wringer, just to try it. That's assuming I could find one that wasn't being sold as an antique! Sandra, isn't it amazing though that soy is in almost every food sold at the grocery store? I'm not real keen on soy for any of us, but those little cowpeas look like a good dual purpose food. Michelle, it just occurred to me to look in my Lehman's catalog. Their best wringer sells for about $200. The "good" one for $160. Since it's effectiveness is questionable, I may have to wait to see if I can find a used one somewhere. Sue, goats are funny. If only one would eat them, then the rest probably would too. I'm kind of glad they don't though, for the reason I mention to Michelle, the pods tend to get funky looking from all the humidity. I'd love to grow some of our feed as well - but I'd have to move to a different place and that would certainly up the ante! I will have to give Pat Coleby's book another read. I have been wondering about the protein level for my wether - I don't feed him as much as my doe. What I'm trying to do now is put some weight on my old-lady ewe. Oh, MY! That's a lot of peas! How do the hulls act? Do they stay dry or do they get wilty in the humidity? I imagine that it would affect which method you choose to get those little buggers out. When we grew popcorn, we let the kids stomp the ears. The corn never popped, but they had a ball doing it! As for grinders and shellers--check out the Premier1 website. They have a hand grinder, but I don't know enough about your process to have an opinion. Seems to me some kind of rubbing off processor would help. Maybe the clothes dryer on fluff! I am giggling about the noise it would make...Let me know how it goes! Very interesting post. I've been wanting to get away from feeding my chickens commercial feed. To be able to provide for them by growing it myself. I'm growing meal worms, sprouting alfalfa and red clover. I was growing greens at the beginning of the summer for them, but they were wiped out by the wretched Bagrada bug! Do feed the cow peas raw? Definitely let us know how the sheller works. That's a whack of peas! Please get something to help with the shelling...I see carpal-tunnel syndrome...! 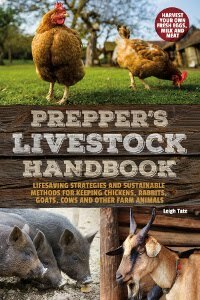 How rewarding it would be to feed your livestock with your own produce! Susan, I'm guessing you have here Natural Sheep Care book? Or both? I really like her philosophy and all the information in her books. Barb, the hulls have dried out pretty well, actually. I did try to feed some to the goats but it was a no go, even after a nibble. :) I did see that corn sheller at Premier1, but found a heavier duty looking one at another website. Too funny about the clothes dryer! Maybe if a added a couple of hard balls, that would do the trick! Frenchie, thank you! I've heard about the meal worms, but am growing compost worms instead, with the idea I can feed the surplus to my chickens. I'm drying the peas and yes, they are fed uncooked. I did find some sprouted ones when I picked today, and they were considered a real treat! Norma, a whack! Love that. I picked an additional 12 gallons today, so a tool is definitely in order! I grow beans for seed, peas too, and would never try to shell that many by hand. Just dump a bunch of really dry pods into a rubbermaid tote stomp around on them. Shuffle about. Then winnow. Easy peasy and cheap. Leigh, do you have the specific link to the testing service you used? I looked for something in California but could not find a page for the testing services you talked about... Thanks! CM, I forgot to answer you on this, sorry! Very good idea though, I'll have to give it a try.